Given that Red Carpet Club membership fees are going up at the end of the month, a lot of people seem to be wondering how Continental and United will deal with reciprocal lounge access. The issue was brought up this past weekend at the Continental Do, and the “in the know” people indicated to us that they didn’t even know what was going to happen, so there aren’t really any facts yet. Nonetheless, throughout the course of the explanation and follow-up questions, I started to form a conclusion. Given that Continental is moving to many United terminals (for example, they’re moving into UA’s terminal at ORD and are likely shutting down their Presidents Club), it’s going to be tough to not allow members to at least access the Red Carpet Clubs. 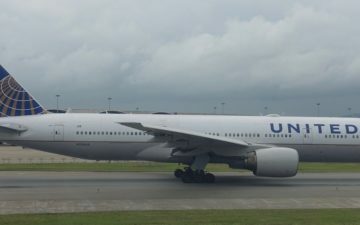 I’m sure this kind of thing will be happening all around the country, be it Continental moving into United’s terminals or United moving into Continental’s terminals. There’s only one logical conclusion to draw from this: There will be full lounge reciprocity for Continental Presidents Club members and United Red Carpet Club members. 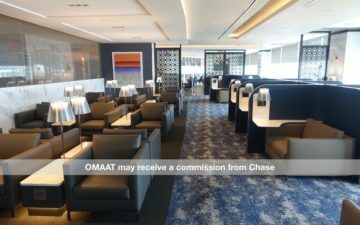 I won’t even speculate as to the details, like whether you need a boarding pass or not to access the lounges, but I’d say that if you’re a member of either club and traveling on either carrier, you’ll have access to either club. The next logical conclusion I’d draw is that Red Carpet Clubs will offer free drinks. Given the membership hike of $100, this only makes sense. Continental is dedicated to providing a quality product, and they won’t let their members not get free alcohol. They’ll find a way to get the Red Carpet Clubs to supply free alcohol, at the very least to their members. RCC members have access to the Continental lounge in Las Vegas, but only if they have a boarding pass on United (lady at the door didn’t mention if an RCC member with a Continental pass would qualify). Unfortunately I wasn’t flying United or Continental… But it would suggest how the arrangement might work. Thanks for the update. 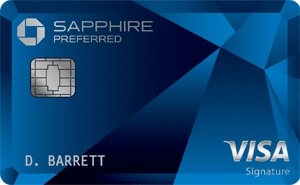 My BMI Gold membership expires at the end of the month, and I have been contemplating purchasing a membership prior to the price increase. I’m questioning whether Continental would still have the boarding pass requirement after the alliance is firmed up. The reason I think this is Continental always let’s me, a NWA WorldClub member, into the President’s Club without even asking for a boarding pass, and I have tried this out in 4 of their clubs. As one data point…I was connecting from UA->CO in IAH tonight and wandered by the PC in B, and asked the agent there if there was any further reciprocity for RCC members. She said, “Only vegas now, I believe we will go reciprocal here in October”…so maybe they’re phasing in?